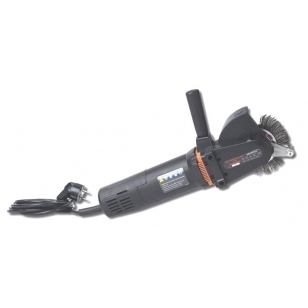 Amazing 3200 RPM power tool rapidly removes mesh and adhesive residue from frame. Patented brush design leaves a "sandblast"-like surface for perfect re-bonding of mesh. No surface heating or adhesive clogged grinding discs. Coarse particle waste residue, no clouds of fine dust. Brush heads not included; order separately.